I’ve had the PonoPlayer in my sweaty, insatiable hands for twenty days now. The shakedown period is pretty much over. I’ve learned a few more things since my initial, somewhat overheated posts. * I like the detailed way that the Player handles reverb, whether it be a natural room sound or a studio effect. Decay rates are weird things, especially when there’s multiple effects wasting away at different values at different times — overlapping or otherwise. The PonoPlayer handles these difficult algorithms with grace, especially where CD-quality-or-better files are concerned. Because of the increased definition and clarity, a lot of detail (both reverbed and dry) can be heard that wasn’t evident on the original file when listened-to via lesser playback means. In addition, there’s very little of the digital edge, glare, or grit that’s audible with lesser DACs, be they portable or otherwise. Even MP3s sound relatively alright. Where an iPhone/earbud combination would make a 320kbps AAC sound weak, indistinct, and mushy, the PonoPlayer delivers. And makes you want to bail on MP3s and AACs and experience lossless files on better headphones (as it should be, chapter and verse, amen). …I take it back. It was easy when I was sitting on a couch, using my index finger. When I’m on BART, juggling the device with an iPad on my lap while the train car jostles, my thumb immediately morphs into something resembling a Hulk-like appendage. It seems more like an elbow. The column height of the screen content needs to be increased, or some sort of decreased screen resolution might be good, too. So in the real-world world, perhaps some tweaking is necessary in future Pono-user-interface-land. * Let’s talk about my encounter with Pono customer service. I’m using a desktop Mac Pro running 10.9.5. The PonoMusic World software is extremely slow and buggy. Half the time the Player doesn’t show up in the left pane of the software, or on my desktop. Forcing detection via the Options menu doesn’t work reliably. I’m spending a lot of time staring at spinning rainbow pizzas, then rebooting. When the Player does show up on my desktop, it can’t be ejected, and unplugging or force-ejecting brings up the standard Mac warning about ejecting a device before unplugging. Multiple reboots of the Player, the machine, and restarting Pono aren’t increasing the stability of the software. After a morning and afternoon of this, the Player is no longer showing up on my desktop or in PonoMusic World. The music that I’ve managed to transfer (only about 30 tracks) sounds excellent, Unfortunately, I’m no longer able to transfer any music. [In the meantime I’ve figured out how to resume music transfers: via sideloading with an SD card reader, bypassing PonoMusic World entirely. And when we’re in an agreeable phase of the moon, and Mercury isn’t retrograde, I can even get PMW to align with my personal universe and cooperate when transferring files. Sometimes. More about this in a moment]. 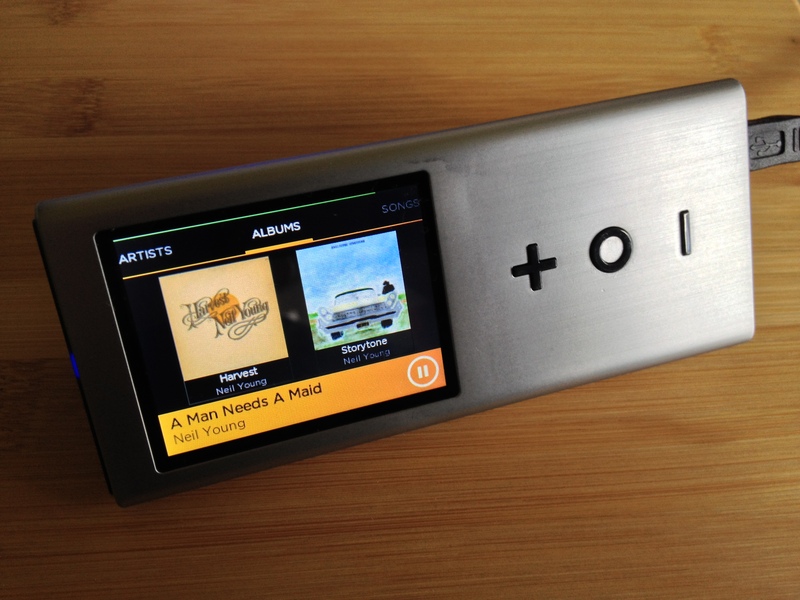 When your Pono music world software is on, turn on your Pono player and plug it into the USB. When promoted to go into music transfer click yes but do NOT click the red done button that appearance after. 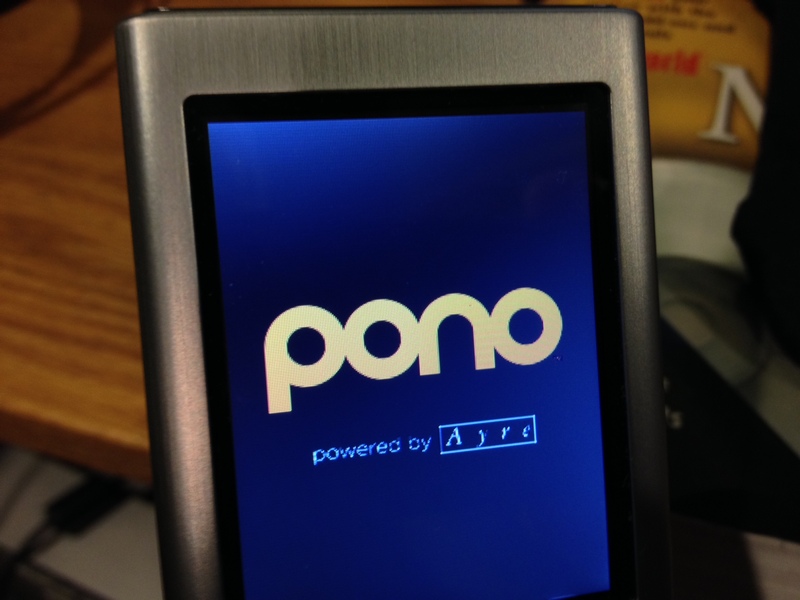 Next click sync handheld in the action window in Pono music world. From there your device your device should sync successful each and every time. This was helpful, but didn’t address the issue with being unable to eject the device — either from the PMW software, or via the desktop Finder on my Mac. And it took EIGHT DAYS to get a rather meager reply (and I won’t go into anecdotal evidence where friends have emailed Pono to ask “can I get a shipping status update on the Player I ordered in June?”, only to get a reply that amounts to “we really can’t tell you. We have marked your issue as resolved. Have a nice day”). Load your music via PonoMusic World and do some mindful contemplation. Think good thoughts. Donate to your favorite charity while music is transferring, pet your cat, throw the ball for the dog, and call your mom. Try not to do anything too involved while in PonoMusic World. Don’t try to add artwork. Editing tags may be okay, provided you are donating to the right charity, in the correct amount, and the cat isn’t in one of her, like, totally weird moods. 4) when the disk(s) disappear(s) from your desktop, you should be able unplug the player without a nasty warning about unplugging a removable disk without first unmounting it. Regarding all you internet smarty-pants who roll their eyes and tell me to do a PMW software update: well, yeah, it’s rumored that the initial beta of PonoMusic World has newer versions available. As with many travels and travails within PMW’s alternate (and capricious) reality, your mileage may vary; however, software updates don’t work from me — on my work desktop machine or home laptop. “There was a problem checking for updates”. This has been happening for two weeks now. Meanwhile, I’m going to concentrate instead on teaching the cat how to fetch. Addendum: I gotta remark that the concept of PMW’s use of a white-label version of JRiver’s MediaCenter software was encouraging, at least at first. I know JRiver at an intermediate level after using it for the past year to stream hi-res over ethernet with a PS Audio PerfectWave Mk2/Bridge setup. But Pono’s implementation/software interface is lacking. I can’t imagine anyone who’s never used JRiver having much luck with the PMW software — and it’s essential if you want to buy and sync high-resolution music from the Pono Store.